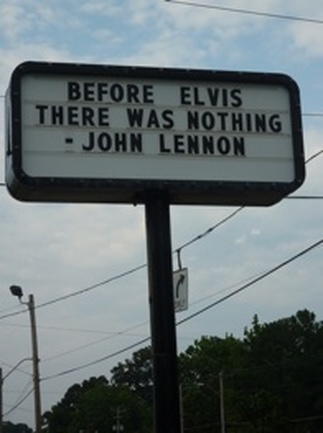 A sign across from Graceland in Memphis, Tenn., says it all. 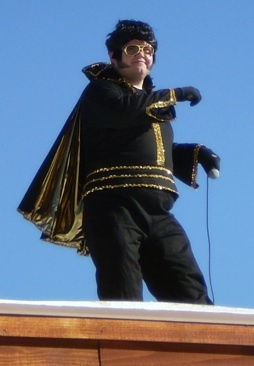 Center, an artist’s portrayal of Elvis as Caesar that was part of an exhibit at the Smithsonian in Washington, D.C.
A happy Elvis impersonator greets skiers at an Elvis Day at Mt. Rose Ski Resort in Northern California. 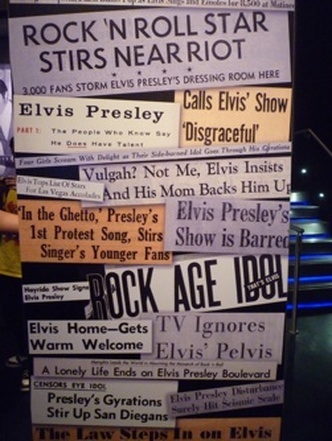 Right, a sampling of headlines found at a Washington, D.C., Newseum exhibit shows The King’s impact on media. 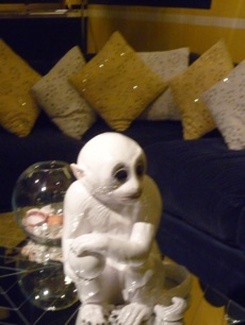 A delightfully strange ceramic monkey in the television room is one of the many treasures seen during a recent tour of Graceland. Taylor Mali "The The Impotence of Proofreading"
What have we learned from history? 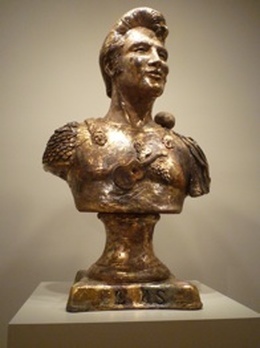 How about accepting a Trojan horse?